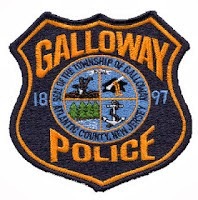 Galloway Township News has exclusively learned of a possible deal between several officers in the Galloway Township Police Department and the Township of Galloway that may put an end to the lengthy litigation regarding Military Pay for several Police Officers. The deal however was described as an ultimatium which leaves five officers the responsibility of choosing the financial fate of several other officers in the Police Department while sacrificing their own financial state. The proposed deal leaves a decision to be made by five (5) police officers who are Military Personnel. Previously Chief Patrick Moran identified the five military Police Officers as Raymond Casanova, Patrick Neal, Rita Abatemarco, Paul Smith and Kevin Costa. Sources indicated the Township moved to end its practice of paying the employee’s portion of the pension contributions. Soon thereafter "the PBA filed a grievance and the Township requested a scope proceeding through the Public Employee Relations Commission (PERC) by claiming that the matter was pre-empted by statute." PERC issued a ruling that the matter was pre-empted by statute and that the Township should not have been paying the employee’s portion of the pension contributions. Sources indicated, the PBA Labor Counsel suggested the five officers compromise with the Township. The compromise was initiated when the PBA learned that Township Manager Arch Liston intended on going back five (5) years to recoup payments from all officers in which the Township paid the employee portion of the pension contributions in regards to the workers compensation payments. The fear would be several Galloway Township Police Officers, including possibly the Chief of Police could potentially end up owing thousands of dollars to the Township. The proposed two-fold deal, according to sources, would be that the Township would agree not to recoup workers compensation pension contributions if the PBA ends the military grievance. If the PBA agrees, then the Township will agree to adopt the interim military drill leave policy as permanent and will credit employees with only half the benefit time or unpaid leave lost up to this point in the form of compensatory time. The proposed deal arrises out of lengthy litigation between The Township of Galloway and the New Jersey State Policeman's Benevolent Association (PBA), Mainland Local #77, which represents the Police Officers in Galloway. Both have been spending time in and out of Court since January 2012, over a Standard Operating Procedure (SOP) issued by Chief of Police Patrick Moran regarding time off for Military Drill. According to the Court Documents released by the Township through an Open Public Records request, Moran issued a Special Order on January 13, 2012, which would discontinue the practice of paying officers for military drills (weekends). Moran clarified in a statement, "the military drills are not to be confused with active military duty where orders are issued." Moran's special orders only included weekend drill only. After Moran's Special Order was issued, the PBA filed a grievance against the Township on February 14, 2012. The Union alleged a breach in the Township's collective bargaining agreement with the PBA. On January 28, 2013, the PBA's grievance was upheld by the Arbitrator overseeing the case. The Township disputed the arbitrators decision and filed an appeal in Atlantic County Superior Court alleging the Arbitrator failed to Rule on Applicable State Law thus constituting a mistake of Law. Atlantic County Superior Court heard the case and ruled on July 18, 2013, in favor of the PBA. According to the Final Order Judgment, the Judge ordered in part, "to make whole all affected Township Police Officers for any lost wages and/or contractual leave charged for the purpose of weekend military drills retroactive to July 13, 2012." The Galloway Police Department currently has five (5) police officers who are Military Personnel that this ruling affected. According to Moran, the five Police Officers are Raymond Casanova, Patrick Neal, Rita Abatemarco, Paul Smith and Kevin Costa. According to the Arbitrator documents, these officers are part of the National Guard and Reserves who are "ordered to attend unit training assemblies (i.e. drill weekends)." At that time, Chief Patrick Moran stated, "Judge Baten ruled in favor of the arbitrator’s award due to jurisdictional issues and not the details of the case and from what I am told, the Township will be appealing it." On August 30, 2013 a hearing was conducted regarding the Township's request of appeal for reconsideration of the Judge's decision for the continuation of Military Pay. According to Chief Moran, "the judge vacated his previous decision and referred the matter to the Public Employee Relations Committee (PERC)." Moran further stated, "my administration and I will work with the PBA in regard to scheduling. etc. of those officers involved while the matter is being examined by PERC." In order for the PBA to avoid a final decision by PERC regarding the Military Pay grievance, the PBA must determine if a compromised deal can be worked out with the Township and further accepted before the Township continues contract negotiations with the entire department. According to sources, out of the five (5) military officers affected, only three (3) of them have agreed to accept the deal. Yea great deal. Ask those that get hurt in process to give up and care for others after the Township tried to cut their brothers due to budget cuts. The cops already won their grievance them have it. Let the PBA sue the township if they try to get the other money from the rest. The PBA shouldn't back down. Officers pay their dues for a reason. Why are 5 guys/gals saving other members. The other members should be saving the 5 guys/gals.